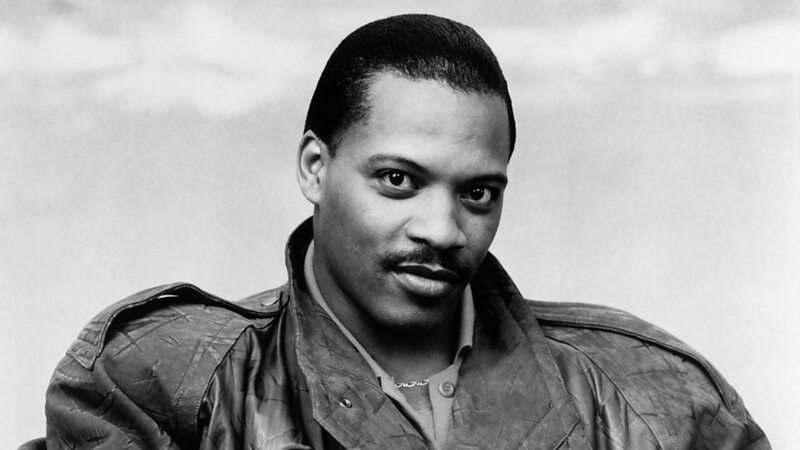 Alexander O’Neal (born November 15, 1953) is an American R&B singer, songwriter and arranger from Natchez, Mississippi. In 1985 O’Neal released his self-titled debut album under the production of Jimmy Jam and Terry Lewis. It included three singles that reached the Top 20 of the R&B Singles Chart. The same year, he also scored his first R&B Top 10 single with “Saturday Love”, a duet with Cherrelle from her High Priority album. The song “Saturday Love” peaked at No. 2 and also reached the Top 10 of the UK Singles Chart, peaking at No. 6. In 1987 O’Neal released the album titled Hearsay, which yielded the No. 25 pop and the number-one R&B single “Fake”. The song also peaked at No. 7 on the Billboard dance chart. The follow-up single, “Criticize”, peaked at No. 4 on the R&B chart and No. 70 on the pop chart. The third single, “Never Knew Love Like This”, another duet with Cherrelle, peaked at No. 2 on the R&B chart and No. 28 on the pop chart. By this time, O’Neal was enjoying greater success in the UK than he was in his native US. Hearsay peaked at No. 4 on the UK Albums Chart, eventually certifying as triple platinum, and spawning seven charting singles. The highest of these, “Criticize”, peaked at No. 4 on the UK Singles Chart. “Fake” became a UK Top 40 hit twice, first in 1987 followed by a remix (“Fake ’88”) in 1988. The “Hit Mix” (a megamix of O’Neal’s greatest hits to date) reached the UK Top 20 in December 1989. O’Neal also recorded a Christmas album, My Gift to You, which was released in December 1988. In 1991, O’Neal released his fourth album, All True Man. The album’s title-track reached No. 5 on the R&B chart and No. 45 on the pop chart. The album was another success in the UK, peaking at No. 2, though sales did not reach the levels of his previous album. In 1992, his first greatest hits album, This Thing Called Love: The Greatest Hits of Alexander O’Neal, became another Top 5 success in the UK. In 1993, O’Neal’s final album with the Tabu label, Love Makes No Sense, was released. This was the first album made without production from Jam and Lewis. Although it reached the UK Top 20 and two singles from the album reached the UK Top 40, sales were not as strong as his earlier releases. In 1995, another greatest hits compilation, The Best of Alexander O’Neal, was released. In 1996, his first album with One World Records, Lovers Again, was released. The album did not chart in the UK, though the single “Let’s Get Together” reached the UK Top 40. In 2001, he released an album on Eagle Records, Saga of a Married Man. The album was produced by former Prince drummer, Bobby Z. In 2005, he recorded his first live album, Alexander O’Neal Live at Hammersmith Apollo, featuring songs from throughout his career. In 2008, O’Neal released Alex Loves…, his first studio album in six years. The album peaked at No. 49 in the UK, and was his first charting album of new material in 15 years. In 2014, O’Neal signed a new management deal with Howard Perl Management (Beverly Hills), which awarded him extensive tours and a cast member on Celebrity Big Brother. In June 2016, O’Neal collaborated with Manchester-based funk band, Mamma Freedom, on the single, “Fake”, a re-recording of his 1987 single of the same name. The single was released shortly before O’Neal embarked upon a UK tour, with Mamma Freedom providing support. In 2017, O’Neal collaborated with Manchester-based funk band Mamma Freedom on the album “Hearsay30”, a re-recording of his 1987 album. The album was released on 1 December 2017.